The On-Board Diagnostic port (OBD) is found on most vehicles manufactured from 1996. Typically the OBD port is used by auto mechanics to view and diagnose vehicle fault codes but it is also used to obtain an amazing amount of engine data. The data can include RPM, engine temperature, fuel level, vehicle speed and oil pressure. This information is very useful for monitoring both the ‘health’ of a vehicle and how it is being driven. As with every vehicle on the market, the driver can view engine parameters on their dash. But, this data is real-time – in vehicle, and not recorded for future viewing nor able to be viewed remotely. The new OBD-400 GPS tracker from fleetminder changes all that! The OBD-400 transmits engine data along with the vehicle’s current location, g-force data from rough driving, harsh acceleration and braking and ignition off and on events (engine data is optional). This recording, viewing and reporting of engine, g-force and ignition data can be used to monitor driving behaviour and utilisation of the vehicle. The fleetminder OBD-400 tracker is a valuable aid in checking the driving style of a young driver or a professional company driver. As mentioned previously, information about the engine ‘health’ can be determined by the relevant values for oil pressure and coolant temperature. In Australia, the 3G 2100MHz frequency has already been switched off, with the current 850MHz 3G still in operation but only for another year or so before being switched off also. This will leave all 3G devices obsolete. 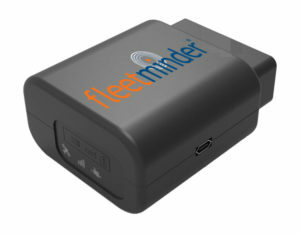 To support the changes to the Australian mobile network, fleetminder have released their OBD-400 as a 4G product. Telstra have invested heavily over the years in their 4G network in Australia and it is allows for greater mobile coverage over 3G. This means the fleetminder OBD-400 tracker will be able to transmit engine and location data in more outer city and regional locations. When out of mobile range the OBD-400 will store the relevant data in the device and then transmits it when the vehicle comes back into range. The fleetminder OBD-400 combines remote live engine data monitoring, recording and reporting, and location tracking as well as being 4G enabled. These features make it a great value product for vehicle location management, theft protection and recovery, engine and driver monitoring and vehicle use efficiency. Contact fleetminder sales for latest pricing on the OBD-400 tracker. Bulk buy discounts are also available.